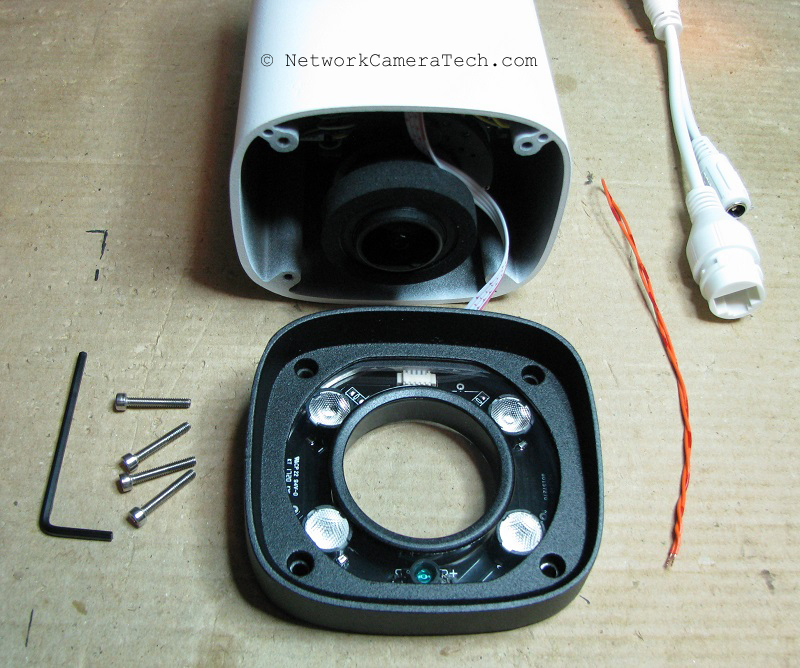 Here is what you need to do in order to reset your Dahua IPC-HFW4431R-Z camera back to factory default settings. 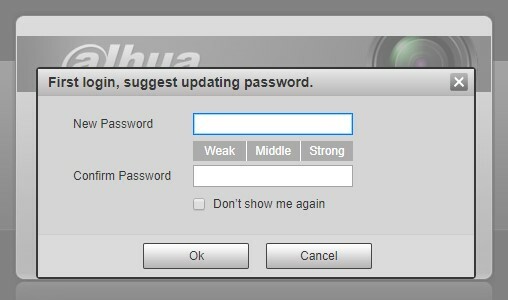 This is the only way to recover from a forgotten administrator password, and while this article only covers this one particular model, the same basic procedure works on many other Dahua cameras. Here are the basic steps, keep reading to see each one in more detail. This will vary by model, and on the IPC-HFW4431R-Z we're looking at today we need to remove the four screws that secure the front cover. Using a 1.5mm hex wrench, remove the four screws and gently lift the front cover assembly off. 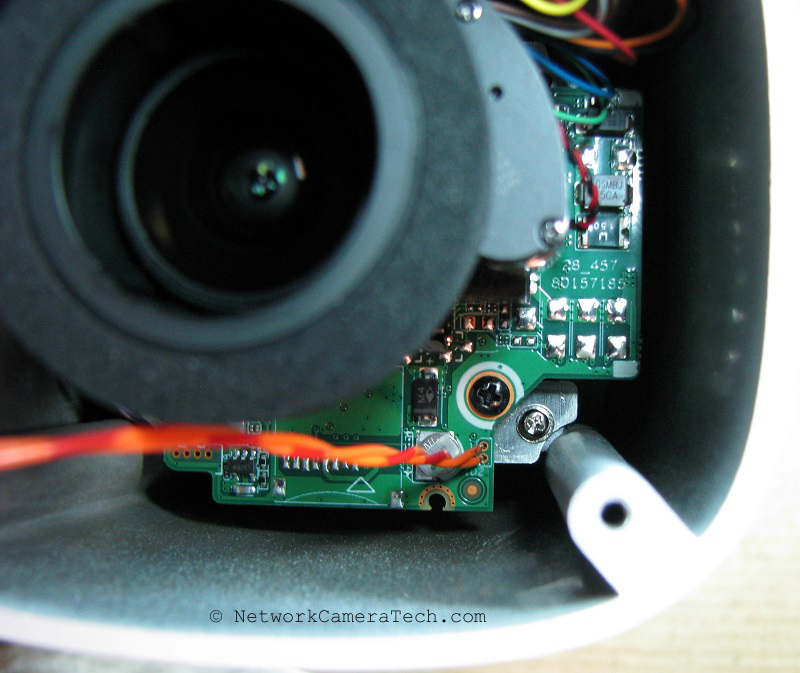 Be careful not to damage the cable that connects the light sensor and IR LEDs on the front to the circuit board inside the camera. On this model you need to look for the two pads on the circuit board labeled 1 and 2, which are near the lower right corner next to the battery and lettering that says ID2, shown in the photos below. Here's a close-up view of the two pads that we need to temporarily jumper. There are many ways to accomplish this, and I chose to use a piece of 24 AWG wire folded over to make a jumper. Strip a small amount of insulation from the ends of the wire, maybe 1/8", and make sure the bare wire is not so long that it will short out to the metal bracket below the circuit board or anything else. 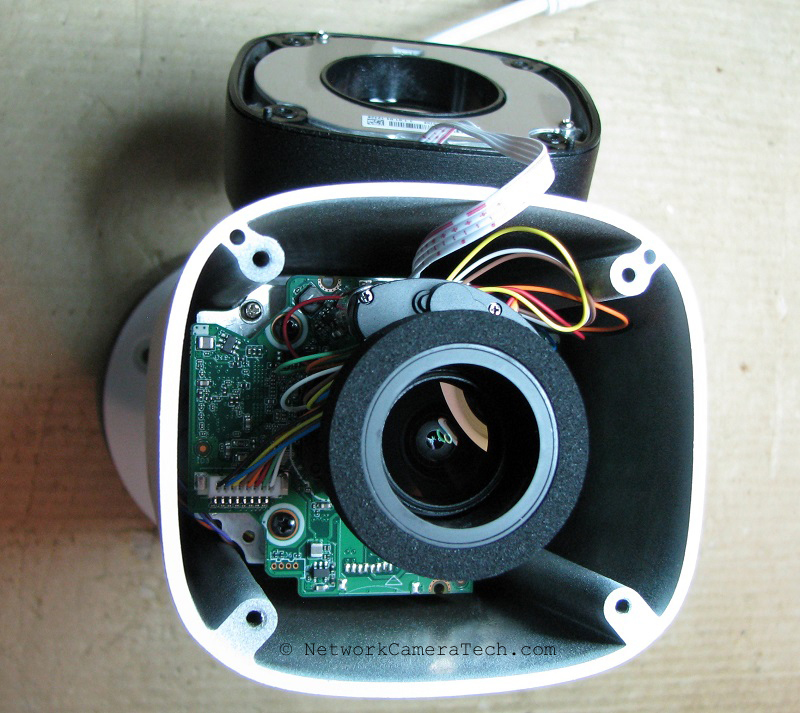 My wire was long enough that I was able to insert the bare conductor into the holes and push it to the left and under the foam that goes around the lens assemble, holding the wire in place and making a good connection to the reset pads. 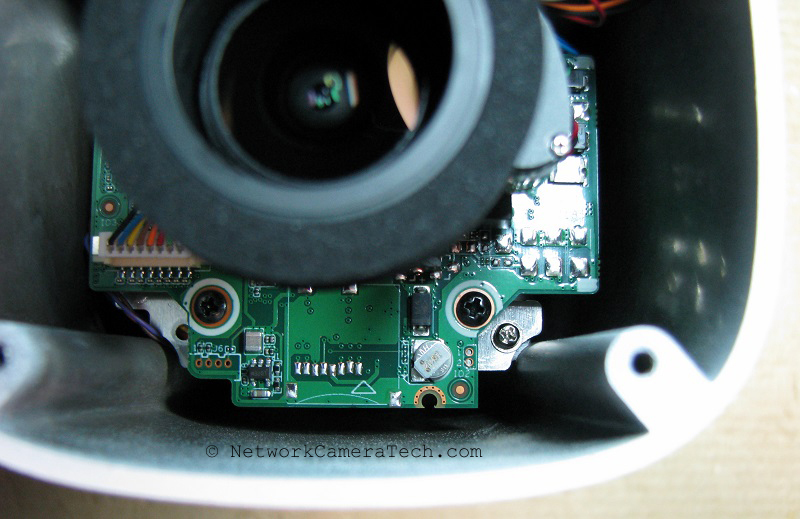 The circuit board is several inches inside of the camera housing, and having a jumper several inches long makes it easy to reach. 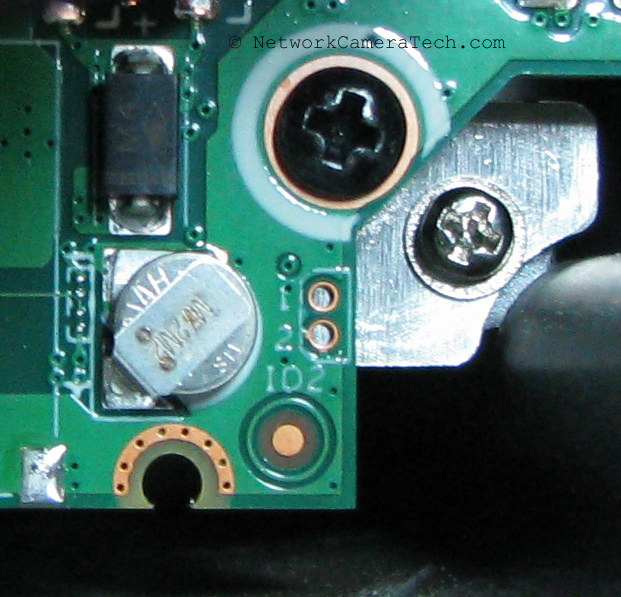 Other models may have pins or even a reset button soldered to the circuit board, but with this camera we just have the bare solder pads on the pcb where those could have been installed, but were left off. Powering the camera with the reset jumper in place will force all camera settings back to factory default. One boot attempt is all that it takes to reset everything, so leave it powered on with the jumper in place for a minute or two. I didn't examine this part in detail but it appears that the camera just keeps resetting over and over when that jumper is in place. I believe you could just remove the jumper at this point and the camera would boot normally, but I chose to power down the camera after a couple of minutes and then remove the jumper before powering the camera on again. 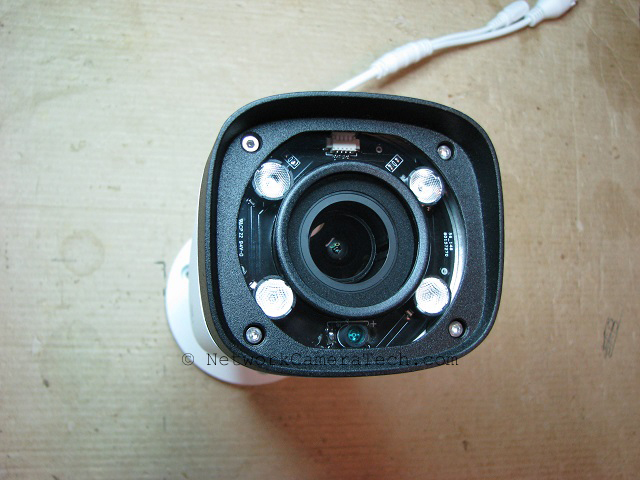 After the factory reset the camera will be back at the Dahua default IP address of 192.168.1.108, and the username and password will both be 'admin'. The camera should prompt you for a new password the first time you access it. Put the cover back on, that's it! This is not a difficult procedure and should go smoothly if you take your time. Mine was just sitting on a test bench while I did it, but think it could be done with the camera mounted in position as long as you're careful. 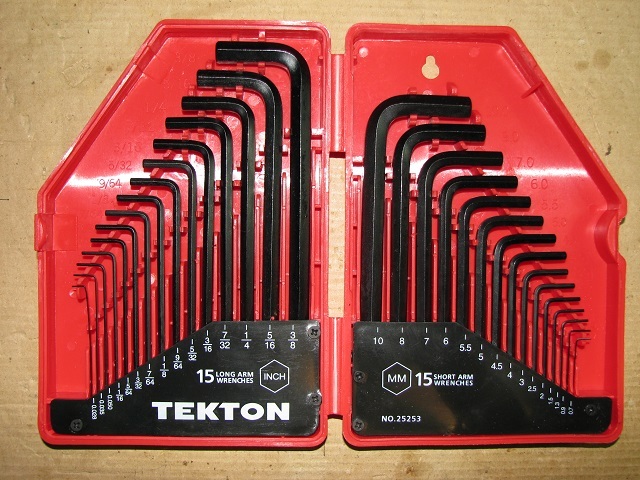 If you don't have a 1.5mm allen wrench to remove the cover, I've had good luck with my Tekton hex key wrench set. It doesn't cost much and comes with just about everything you might ever need in both metric and standard sizes. The 1.5mm is the fourth from the right here in my set. For more information about this camera, click here to read my complete review of the Dahua IPC-HFW4431R-Z.